SPOILERS: None that I can think of. they need to solve the case? if you’d let me know where. It helps inspire me! belongs to me. No infringement of copyright intended. March 10, 2003 10:48 p.m.
something that had been discussed many times before. where the man had said the key to the safe could be found. lay the key, exactly where he’d been told it would be. desk, listening for any change in pitch. corner and continued tapping along the bookcase. a cry of triumph behind him. he pulled the object out. as he got his five G’s. Then he heard the wail of sirens in the distance. Damn! towards the exit and hissed in his ear. “Make a run for it. into the night as the old lady on the floor moaned feebly. March 12, 2003 7:26 a.m.
Scully entered the office, an autopsy file in her hand. there that he hadn’t heard her enter. a notepad that was covered with his barely legible scrawl. quicken, his joy at seeing her obvious. drummed the arm of his chair. knew it by the mischievous twinkle in his eyes. to relax that rule no matter how good he looked. eyed and innocent, a hurt look on his face. She stepped back and looked up and down the corridor. buttons on her jacket. She undid the buttons, one by one. shoulder and fall to the floor. Mulder’s eyes never left her. He was squirming in his seat now and his face was flushed. Scully suppressed a smile and went to make their coffee. Mulder put his coffee down, stood up and began to pace. enjoyed these show and tell sessions. turned to stone just like the victim in this current case. the Bureau for investigation and they were sent down here. 1997 and nothing else had mattered to him at the time. nodded, silently agreeing to let the subject go. breath and continued. “Then they became MWA’s”. to any file he hadn’t been able to salvage after the fire. retrieve the autopsy report she had left there earlier. the lab report and handed it to her partner. pulled off the streets because of the other two deaths. then. I think I’d like to talk to the kid’s mother first. March 12, 2003 1:45 p.m.
that was visible from the hall was red and puffy. The agents held up their IDs for her inspection. Her voice faltered and she finished on a sob. respond, the woman continued, “Can you tell me why he died? footsteps receding from the other side of the door. soft spot for her young neighbor. on him.” She lifted her handkerchief and blew her nose. shrugged. “I guess he wanted to make sure it still worked. Scully gave a little shrug and said, “What happened next? and picked up the file he had left on the coffee table. a desk beside a small desk lamp. them on and looked at the picture. her. “Were you wearing your glasses that night, Mrs.
the corner of her watery eyes again. didn’t have any further questions. between her hands and kissed him long and hard. still be in time to make their appointment with Ben. “No phone number listed. Must be an unlisted number. March 12, 2003 2:42 p.m.
dressed in a maid’s uniform answered the door. They produced their IDs and Mulder gave their names. appointment.” The woman began to close the door. 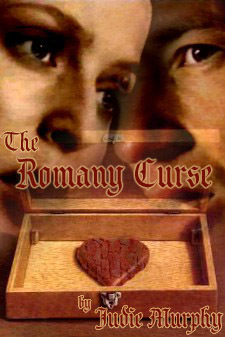 the ribs and said sweetly, “Why don’t you check with her? late sixties reclining on a sofa, propped up by cushions. strong woman who commanded respect and got it. straighten his tie and run his fingers through his hair. if she had the same impulse. attendant with a wave of her jeweled hand. Winters.” She motioned towards the window. face, framing high cheekbones and wide blue eyes. explained the bandage and pale complexion. heritage that he couldn’t quite place. have its usual effect, so he matched her stare for stare. “Three nights ago. I heard a noise and went downstairs. was sure he wouldn’t find in the police report. “I’m sorry. “You mentioned something about some property being stolen. Mulder gave himself a silent high five. He’d been right. he had a feeling she wasn’t reading a word. “I understand it has been stolen before?” he asked. never get him to listen to reason. Her voice was louder now, as she spat the words out. woman’s tone would have cut diamonds. answers but decided to try anyway. door and stood waiting to receive her instructions. direction. “You have had your question. Good day. March 13, 2003 4:25 p.m.
one of his fries and popped it into her mouth. otherwise healthy males died of heart-related problems. found at the scene of the pawn broker’s death. Plus Mrs.
with on the very night it was stolen from Mrs.
and placed the rubbish in the bin. second ring and identified himself. March 13, 2003 5:10 p.m.
showed their IDs to the officer. hapless victim’s face went beet red. asked, easing his chokehold so that the man could answer. drained of color, perspiration dotting his forehead. She shot Mulder a glare that would have frozen Lake Tahoe. to do so if he thought he might get a story. the now silent bystanders parted like the red sea. door and wave them inside. relieved the tension between them. “It’s all right, Mulder. But we *will* talk about it. because you were due to meet with him about another case. head, almost covering his unruly, sandy hair. “Really?” Ben shrugged and shook his head skeptically. pockets. It was Detective Allender who said, “It’s mine. and I don’t have any other details but here’s the location. possible poison was broken down by the passing of time. She hated splitting up but there seemed no way around it. already on the case and the new developments. She looked at Ben and he shrugged. “He hasn’t changed. March 13, 2003 7:05 p.m.
guard beside the yellow crime scene tape. straightened on the other side. except for when the flash of the camera lit the scene. smiled back when he recognized his old friend, Don Anderson. door, his lower body still under the dashboard. the same as the other two victims. way, where was it now? trunk, finding nothing of interest. man’s body and hidden from view until now. the bottom and it read 1888.
figure spun round and round to the melodic sound of Mozart. 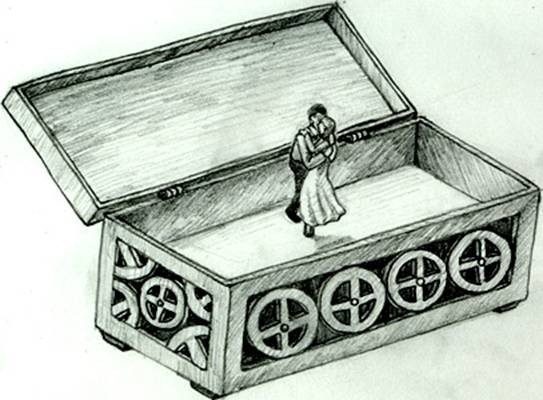 carved lovers, the box was empty. be out in the State Park because he liked the scenery. stop now. He dropped the box into a plastic evidence bag. it was getting late. They would have access to someone. though both of them knew they wouldn’t. the incident and headed back to pick up Scully. later and follow him at a discrete distance. March 13, 2003 9:35 p.m.
way for her to let him know her movements. he plugged the phone into the car charger and turned it on. across the street watched his every move. car on the outskirts of town and followed it to the morgue. as he followed the taillights along the deserted streets. March 13, 2003 9:45 p.m.
massage if they ate in. hearted question had came out as an accusation. “That’s a fine question coming from you,” she retorted. she was standing in front of him and he smiled to himself. view mirror. The car had come out of nowhere. on the gravel outside his door. find what he was looking for. March 13, 2003 9:56 p.m.
screeching metal and breaking glass and then the silence. on the bed and used the hotel phone to call 911.
she grabbed her cell and yelled into her phone again. before heading out the door. an explosion and saw the fireball above the treetops. ambulance was already on the scene as was a police cruiser. began to pour water on the fire. struggle in the officer’s arms, knowing it was hopeless. over to where her partner lay on the ground. wound that was bleeding profusely. burning wreck and gave her a quick apologetic smile. life. He pulled him from the car just before it exploded. ambulance left in a swirl of dust and flashing lights. March 14, 2003 10:15 a.m.
trailing of soft fingers down the right side of his face. that touch. He’d know it anywhere. when his head began to throb. trying not to vomit all over the clean bed. Scully always knew how he felt. would cause the top of his head to explode. worse, and he bit his lip to stop from moaning out load. March 15, 2003 7:25 p.m.
which was a pale substitute for his usual healthy tan. conditioned room knowing he’d been incredibly lucky again. the bed and helped him settle under the covers. and opened his eyes, waiting for the room to stop spinning. and catheter had been removed. seat beside him and heading back to town to meet Scully. there had been no more deaths since the box went missing. motive for ramming the Taurus. well enough to talk to him. pulling him from the wrecked car. willed his aching head to remember but it was no use. had been with him in the hospital since his accident. they were forced to part for lack of oxygen. the chair, flushed crimson with embarrassment. like two teenagers caught necking. Scully, feeling better than she had in days. in a pleading voice that touched a cord in Scully’s heart. love you and want to spend the rest of my life with you. “Like that,” he mumbled, eyes closed. March 15, 2003 9:05 p.m.
interrupted, he was sure he hadn’t missed it. hemmed his own car in but he had no idea where. when he’d caught up with it. Maybe a half hour. interference. It was impossible to get to him. An idea suddenly occurred to him. feet from the hospital entrance. March 16, 2003 8:35 a.m.
nauseous if he turned his head sharply in either direction. by a male nurse and had been appalled at how weak he felt. frustrated with his slowly recovering body. doors slowly closed behind them. here by now and he was getting worried. tell him why she’d been held up. another voice had thrown him momentarily. out of the elevator at any moment, he stalled for time. that was what he intended to do. what had happened to it. sign for the box at the park. been building flare with an intensity that made him gasp. ease the throbbing in his head and allow him to think. the appropriate notes in his chart and left. when there was a tap on his door. for the last few days only made him appear more suspicious. squeeze until he told him where Scully was. So he waited. Mulder didn’t return his smile. clean page. “Nice to see you looking better, Agent Mulder. wanting to upset the star of his upcoming article. Mulder’s eyes never left the man’s face. Steve couldn’t have faked his astonishment. “M-me? knew. “I-I wasn’t following you – at least, not at first. “Did you see anyone else?” asked Mulder. confirming nor denying he knew anything about them. Parker, who is Mrs.Benson’s great-grandfather, by the way. to a subject he was obviously comfortable with. was only 48 years, fit as a fiddle and ornery as they come. The reporter looked up and nodded. “Yes, I think I do. slowly into a sitting position and eyed Steve’s coat. March 16, 2003 11:55 a.m.
looked into the concerned face of Steve Denton. them and turned to his new friend. the building with three-foot aisles in between. own labored breathing as he moved as silently as he could. the open space to the next row. from moving anywhere but forward. the pale figure, sitting ramrod straight in the chair. opposite to where he was standing. spoke from behind the light. than the last time they’d spoken. had come for after all. go off at the slightest provocation. shielding his eyes from the bright light with his left hand. “Kick it over here,” was the next command. who still stood in the shadow of the containers. his body, ready to move the moment there was an opening. about five before they broke down the door. 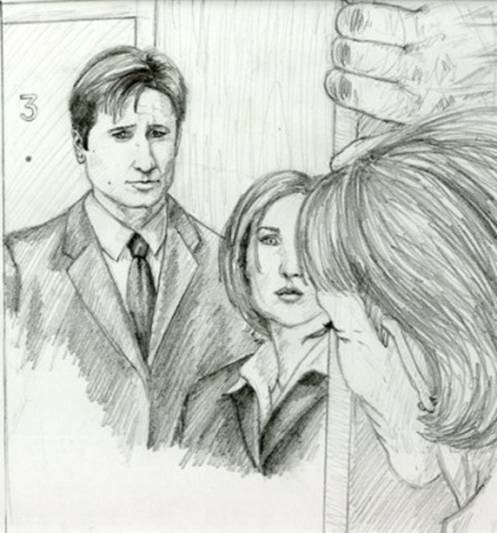 the hand holding the gun was pointed unwaveringly at Scully. when the gun swung in his direction. himself at the man, shielding his partner with his body. still, the box falling from his limp hands. gloved finger and snapped the lid shut with a bang. pounding on the rear door. her eyes refusing to believe what they’d seen. sodden cloth from her mouth and cut the ropes. from the time she’d been freed. the mist descended and swallowed her. March 17, 2003 3:55 p.m.
coaster ride she could take. squinting a little in the bright light of day. happened or how he’d ended up in the hospital again. she could bear to think about. concern. He reached up and wiped the tear away. ice chips into his mouth. the ice melted and lubricated his parched throat. numerous tests she’d insisted on running. his chest. No pain, no bandages. here.” He indicated the center of his chest. that moment but getting between her and the gun. He tried to lighten the decidedly morbid atmosphere. whimpered at the loss of contact. frame and the haunted look in her eyes. quivered, forcing her to turn away from him. further than that at the moment. now that they were on familiar ground, finalizing a case. Scully nodded and gestured for him to continue. recall of the translation that he’d read the day before. He nodded enthusiastically. “Work with me here, Scully. pressure until he turned haunted eyes back to her.